Today I am featuring Doga, an antihero comics character who is so famous that he still rules the hearts of comics lovers and is soon going to be available as a movie. Doga is a vigilante with a dog mask who believes in uprooting the problem rather than solving it. 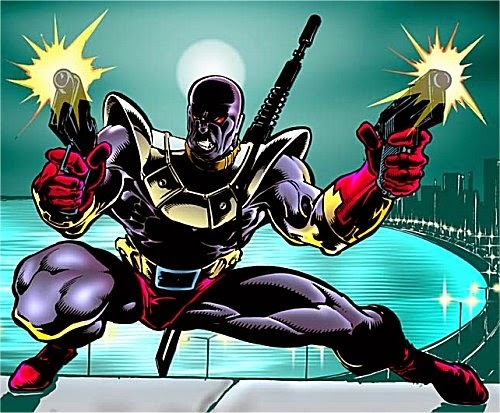 Created in 1992 by Tarun kumar Wahi, Sanjay Gupta & artist Manu for Raj Comics, he is the only antihero character featuring in the comics published by Raj Comics. He is one of the most popular Raj Comics characters and his story of becoming Doga is one of hardship, injustice and pain. His alter ego, Suraj is an orphan who faced many hardships, injustice and cruelty during his childhood. Forged into a man who wants nothing more than fight the evil that caused him so much pain. He adopts the character of Doga and wears a dog mask. He fights evil, believes in uprooting the problem and has no regard for police or the justice system which he thinks failed him in his hour of need. I loved his comics which featured real life events to tell a tale and thus, made the stories seem more real like. Doga is powerful, dedicated, strong and has fought and won against characters who had special powers unlike him, a normal human. 6) Has quick reflexes and a clever mind which enables him to negotiate threat from his enemies as well as to avoid being caught by the police. 7) His physical prowess is a result of extremely rigorous workouts in gym, unlike other super-heroes who have special superpowers ( for example- Parmanu, who relies on advanced science for his atomic superpower or Shakti who has goddess-like superpowers). He has even fought Kobi, a wolf-like superhero, who is much taller and stronger than him. He is the strongest superhero, if special powers aren't considered. He is a must read for scifi, action and realistic comics fan! I love reading his comics and there is never a dull moment in his stories. Come back tomorrow to checkout my favourite Indian cartoon/comics character whose name starts with E!